In life, it nearly always seems so much more satisfying to deal with the tangible rather than the abstract. As an ex-carpenter, I know the psychological rewards of replacing a drawer runner so that it slides smoothly. It is deeply gratifying to be able to get your hands on something that isn’t functioning properly and to mend it. This is probably why in medicine we look for solutions in the stuff of people. Like with the broken suspension of a car, a painful hip can be removed and replaced, and often, it should be said, with reasonable success, the reduction in pain being well worth the slight loss of function. A more dramatic example is the heart-valve replacement that can restore the vigor in a person who previously felt wearied by activity. No one would deny the clear benefits these kinds of operations can bring, but if we are not careful, the successes can also deepen a way of thinking about the body that sees it as a series of parts that can be replaced as they gradually wear out. This idea that human bodies “wear out” is prevalent in our culture, but it is a mechanistic way of thinking about the body that often isn’t helpful. We can often find examples of this way of thinking in the language of some manual therapists and exercise teachers, who often see problems with the functioning of the body lying in some of its parts—a muscle, a joint or an area of the fascia. There is, however, another way of viewing the body that I think can be more helpful. The body itself is, in reality, a self-regulating system that adapts over time to the behaviors of the person in question. If your work is physically demanding, the body grows stronger to cope with those demands. If not, it will remain strong enough to carry out the tasks you regularly perform in life. In other words, it adapts over time to match individual behavior. If for some reason the body is damaged then it will self-repair over time, as all biological organisms do. There are a couple of things worthy of note here: first, that bodies tend to break if they don’t have time to adapt to a new task, or if their familiar task is suddenly made considerably more demanding; and second, those bodies don’t heal easily if the damage that has happened is being irritated at a faster rate than the healing process. 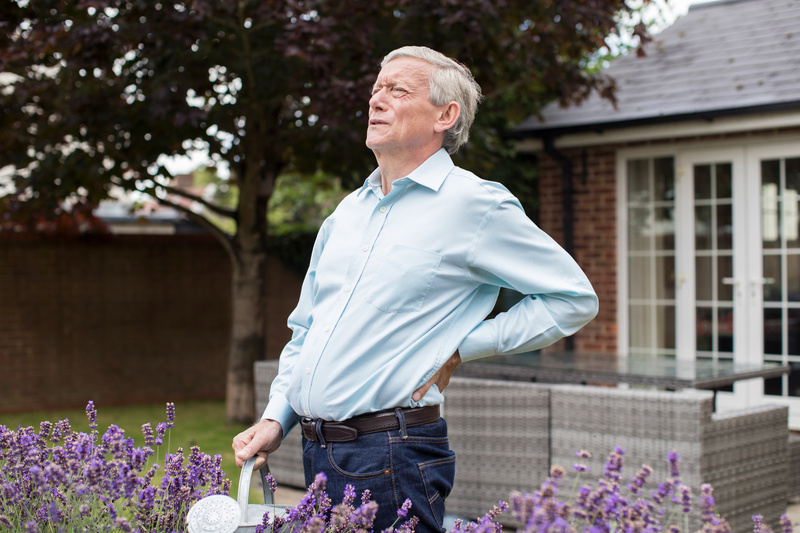 An example of the first principle would be someone who strains his or her back gardening in the spring. Over the winter not much gardening goes on, so the body adapts to a less strenuous life. Then, in the enthusiasm of spring, a four-hour gardening session is imposed on an unsuspecting body, and something gives. In the second example, that same person should ideally ease off and do much less as the body heals, gradually increasing the load as they feel better. If enthusiasm gets the better of them and they continue to do too much so the body can’t heal, persistent pain is a likely outcome. The body itself is the means by which we react to life events. It enables us to act in the world, most fundamentally to eat, reproduce and survive. It does this by responding to a sensation. The sensation may be to move into the sun because it feels pleasant, or out of it if it is too hot. It responds to feelings of hunger and thirst and tiredness by looking for food, water or a place to rest. It responds to a feeling of loneliness by looking for company, feelings of fear by tightening up—or whatever we have practiced as a response to fear—and all our other emotional feelings will elicit some kind of response from the body. How we move through life will be based on the way we have moved through life since childhood. We can only move and respond to life in the ways we have rehearsed in our life. During our childhood, we meet many novel situations, both physically and emotionally, and learn strategies to deal with them. Once we have developed a strategy that seems to work, we rarely go on improving it. A good example of this is handwriting. Most of us will continue to improve our handwriting up to the age of about 13, after which it hardly changes. By then we have reached the point where the effort put into writing meets the needs of people being able to read it. If we want to improve our writing after that point and take up calligraphy, for example, we will need to bring particular attention to our writing and be prepared to develop a patient, attentive approach to our practice of it. This is true of almost any change we want to make in our adult life. Change requires patience, perception, and practice in the direction we wish to change. The environment we grow up in bends us both physically and emotionally into a particular shape that enables us to survive, much like a tree on a windy cliff edge is shaped by its environment: here, more cambial tissue (the tree’s equivalent of muscle and connective tissue) will be laid down on the leeward side, making the tree more able to withstand the buffeting of the wind. Very little tissue is wasted on the windward side. Our muscles, bones and connective tissue do a similar thing, except they are not responding to wind but to our daily activity, whatever that may be. We never blame the branches for the shape of the tree. In the same way, we should never blame our structure for the shape it takes. It is bringing our focus to the wrong address. Asking how we respond to our environment is a much more useful line of inquiry because it is that response that will shape us both emotionally and physically. When we set about a process of change, there are certain qualities we need to bring along. We need patience because anyone who has learned any new skill knows it takes time, as does the letting go of an old habit. I don’t think there are any hacks or short cuts to this process, but the process itself brings with it an acceptance of the inevitable nature of change, and the fact that the shape we are in is usually the result of a life lived, not of something we have done wrong. Peter Blackaby has 30-plus years’experience as a yoga teacher and trainer and is also trained as an Osteopath. 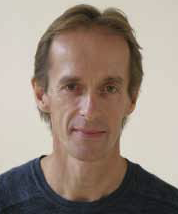 Peter started practicing yoga seriously in 1978 as a student of the Iyengar System and after six years undertook the two-year teacher training program, qualifying in 1986. Currently, he teaches functional anatomy on the London yoga teacher-training course and has input to two other local courses. He is regularly invited to teach throughout England, Wales, and Scotland.